Today I went on a one of the Museum of London’s periodic tours of the most substantial surviving part of Cripplegate Roman Fort, preserved in the modern underground car park on London Wall. The fort was originally built in around 120AD, and housed a garrison of perhaps as many as 1000 or more troops, including cavalry, on a 12-acre site to the north-west of the Roman city of Londinium. Its west and north walls were subsequently incorporated into the City Wall in around 200. 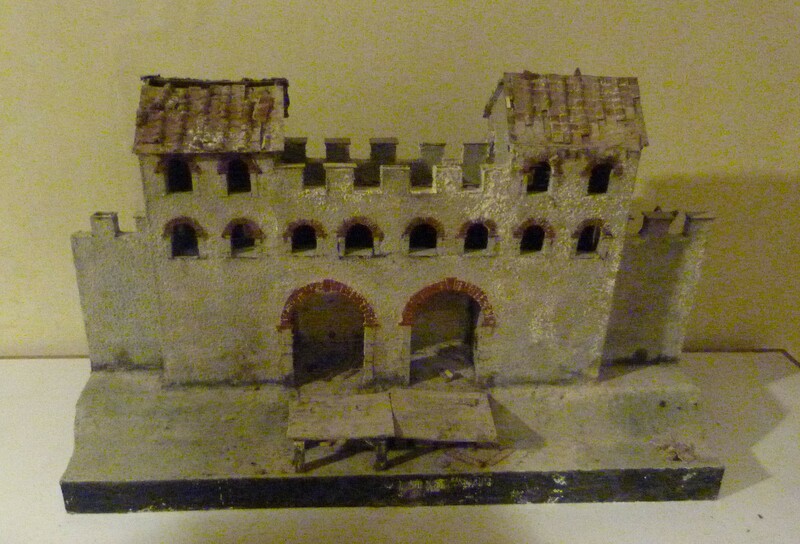 Part of the west wall, gate, and gate-house complete with guard-rooms and turrets, can still be seen in the modern car park, together with a fine reconstruction making sense of things. This entry was posted in discovering london on foot, History, London, London History, Roman London and tagged Cripplegate, London Wall, Museum of London, Roman Britain on November 22, 2013 by Bob Jones - The Lost City of London.